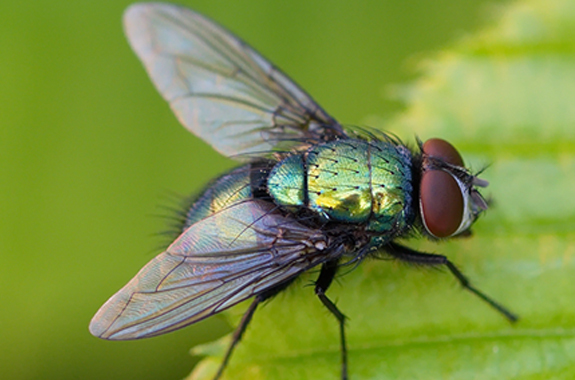 Flies are very harmful insects as they are capable of causing and transferring diseases of many kinds. If your house, office, hotel etc. are infested by flies then it becomes very necessary to terminate these transporter of diseases for healthy living. Our company City Serve Pest Control is a very experienced company in terminating flies in homes, offices, hotels, ships, hospitals etc. Our services can be accessed in different cities of U.A.E. Flies are one of the most hated insects by human as their presence can be quiet unpleasant in many ways. There are more than hundred thousand species of flies known to human. It is believed that there are still many more species of flies to be found out. Different common flies found in human households are houseflies, deer flies, cluster flies, horse flies, drain flies, gnats, sand flies, blow flies etc. Flies are very active insects and they keep on moving from one place to another. Their body carries germs of different kinds of diseases and is one of the main carriers of germs related to communicable diseases. They generally live in filth and are attracted by different food items such as meat, sweets etc. They leave behind germs after they infest the food items. Infestation of flies in home can cause different health issues. Among them food poisoning is the most common type of health problem caused by the fly infestation. They also can cause different diseases such as dysentery, typhoid, cholera, diarrhea etc. Different kinds of parasitic worms are transferred in our body by the flies. Other diseases such as tuberculosis, salmonella etc. are also transferred by the flies. The presence of flies in the living space itself indicates the unhealthy environment of the place. Hence it is very necessary to get rid of the flies from any living space to maintain a healthy environment for living. The first step to prevent fly infestation in house is maintaining proper sanitation in and around the house. Flies are generally attracted by dirt and filth and gather around filthy places. Keeping the house clean can effectively decrease the presence of flies in house. Source of standing water should be removed from around the house as such sources can create suitable environment for breeding. Different kinds of fly repellent chemicals can be sprayed in and around the house for chasing away the flies. Some natural repellent can also be used to repel flies from home such as Lavender oil, Peppermint oil, Eucalyptus oil, Pennyroyal oil etc. Although there are a lot of home remedies to minimize fly infestation it is always better to use professional help for complete safety. Our professionals will identify the types of fly infestation, there possible breeding spots and eliminate them effectively. City Serve is a Sub-division of “SMART TOUCH TECHNICAL SERVICES LLC” for pest control services in Dubai UAE.